INSOLE, A. N. and HUTT, S. 1994. Palaeoecology of the dinosaurs of the Wessex Formation (Wealden Group, Early Cretaceous), Isle of Wight, southern England. Zoological Journal of the Linnean Society, 112, 135-150. The most frequently found dinosaurs on the found on the Isle of Wight are ornithopods, specifically the common Iguanodon, Hypsilophodon,and Mantellisaurus, with the occasional dryosaurid Valdosaurus. Iguanodon and Mantellisaurus were certainly living in the region, as both body and trace fossils assigned to these genera have been found there. Iguanodon and Mantellisaurus would have fed on the leaves of trees, while Hypsilophodon and Valdosaurus would have been restricted to browsing on ferns and cycads, although there is the possibility that they may have eaten plant debris pulled down by Iguanodon. The ornithopods were clearly the dominant aspect of the ecology of the Isle of Wight during the Barremian, evidence including the large number of Iguanodon tracks at Hanover Point and the 100 Hypsilophodon already extracted from the Hypsilophodon beds near the upper boundary of the Wessex Formation. The relative abundance of Iguanodon may be attributable to diagenetic bias. As plant debris beds, the strata that contain Iguanodon and Mantellisaurus remains, are the most common of the Wessex Formation, it may be that Iguanodon isn't as common as is believed, just more regularly preserved. 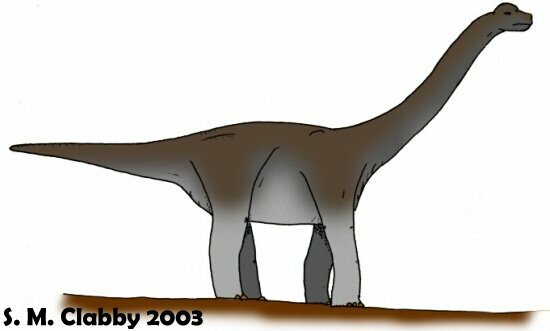 Sauropods are known from the island, with nearly ten different genera being described, four of these being brachiosaurs. The high level of diversity in the sauropod fauna may suggest that they were seasonal migrants, only being in the area temporarily, as the slow-growing nature of the vegetation would rule out a permanent resident population of sauropods, especially with competition from the ornithopods. Also, the dietary adaptations of the sauropods, with them mostly being brachiosaurids, titanosaurids and other titanosauriforms, would rule them out as being natives, as these were presumed to be browsers, and so completely unsuited to the low-level foliage, although there is evidence for conifer forests located upstream and on the surrounding hills. It is possible that the rare rebbachisaurids, one of which is known from several teeth, may have fed on the low foliage, but as this animal is rare on the island, it may not have been a permanent resident of the region either. Where you get herbivores, you get things wanting to eat them. 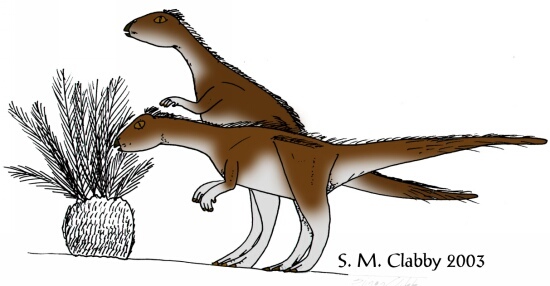 There were relatively small theropods, such as Calamospondylus, Aristosuchus, Calamosaurus and Ornithodesmus, at about two metres long. There was also Eotyrannus, which was four metres long, and was related to Tyrannosaurus rex. These would presumably have fed on the small hypsilophodontids and other terrestrial organisms, although there would have been competition with the crocodiles, of which eight are known. There is also an unidentified troodontid. 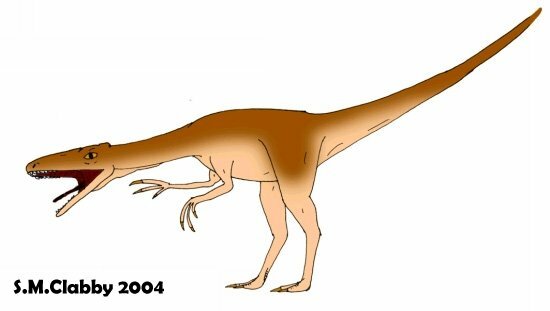 There has been much debate over the diet of troodontids, as they have leaf-shaped teeth similar to ornithopods, thyreophorans and pachycephalosaurs, which suggests a herbivorous diet, yet they also show similarities to Hesperornis, a piscivorous bird add to that possible insectivory, and it becomes obvious that there was an element of omnivory in troodontid diet. There was definitely plenty for small theropods to eat. Recent study of microfossils has shown there to be a diverse fauna of small reptiles, such as skinks and young crocodilians, and amphibians, including frogs, salamanders and albanerpetontids (a salamander-like creature), as well as at least five species of small mammal.. There are two large predators found in the Wessex Formation, these being the six and-a-half metre long allosaur Neovenator and the nine metre-long spinosaurid Baryonyx. Baryonyx was almost certainly a local predator, as teeth from adults and juveniles have been found in abundance. Having said this, Baryonyx was primarily a piscivore, although it would also scavenge on carcasses and pterosaurs. The major predator would therefore be Neovenator, preying on the Iguanodon, and maybe on hypsilophodontids as well. Neovenator may possibly have also been attacking the sauropods that were occasionally entering the region, although this is just speculation on this authors part. In addition, if Neovenator was left to fend for itself as an infant, then it is possible that the young occupied yet another niche, eating small lizards and insects, as well as scavenging any carrion. There is also the seven metre-long Thecocoelurus, a creature ascribed to the Oviraptorsaura, the diet of which is currently under much speculation. Although the name does suggest that they lived on a diet of eggs, this is based purely on a misidentified nest found being "plundered" (or protected, as is more likely) by an adult Oviraptor. There are also two other large theropods, as yet undescribed, but would be of similar size to Neovenator. 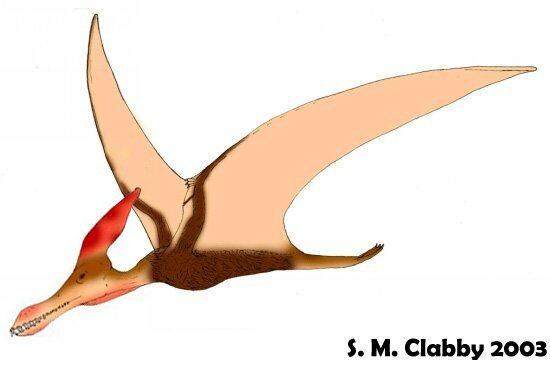 Pterosaurs are represented by two genera; Istiodactylus, a crestless toothed pterosaur and Caulkicephalus, which had not only crests on the snout but also at the back of the head, likke the American pterosaur Pteranodon. There is also Ornithocheirus, although this is possible a waste-basket taxon. All of these pterosaurs are piscivorous, and would have frequented the lakes and lagoons in the area, skimming the surface and scooping up fish with their snouts and teeth. It is unknown if any pterosaurs would have actually lived in the area; it is assumed that pterosaurs would have lived in coastal regions, and there would have been little protection from the dinosaurs. Please note that this palaeoecological analysis is based on fossil evidence, and so is limited to those species that have been preserved. Although many exciting new finds have been made through mass screening of sediments, there does appear to be an element of bias in preservation. As Denver Fowler put it in his SVP poster "Tentative evidence supports the hypothesis of taxon preservation bias between different facies. Sauropod remains, many recognisably in situ, constitute a higher percentage of the megafauna within red and purple marls (medium to well drained oxidised sediment) than other facies. The most productive facies: plant debris beds (waterlogged reduced sediment, formed by fire-flood associations), yield an allocthonous megafauna dominated by the large ornithopod dinosaur Iguanodon. The Hypsilophodon bed (mottled sand/mud facies, mudflows) yields a megafauna almost exclusively composed of small subadult/juvenile Hypsilophodon very commonly preserved articulated in 3 dimensions. These morphologically dissimilar taxa were likely susceptible to different preservation biases, manifested in the fossil record by their preferential preservation in different facies.